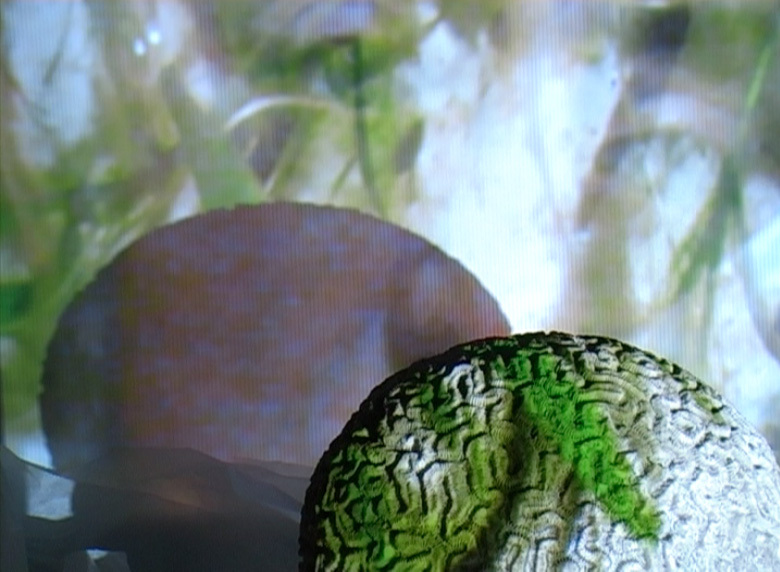 I’m a video artist, participatory & community arts worker, evaluator and artist-researcher. Currently I’m working with key West Midlands organisations on the evaluation of the impact of participatory arts – which was also the subject of my doctoral research. As a film maker I want to challenge the way we watch media and to question our relationship to the film’s subject and the role of the artist. As a community arts project manager and worker, I bring decades of reliability, experience and reflective practice towards developing creativity through rich, empowering, effective and fun processes. 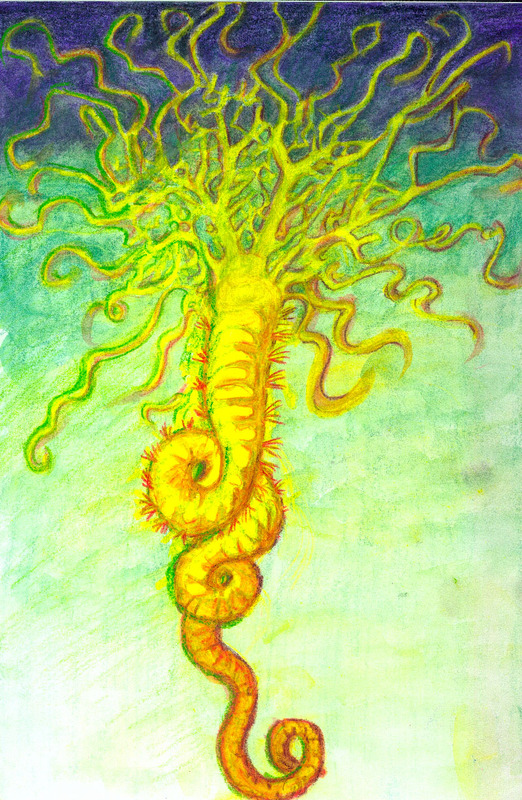 My practice also offers integrated and creative evaluation. My short film ‘Reading Agatha Christie’ was submitted to the Max Mara Prize for Women Artists 2008 by British artist Cornelia Parker and made it to the penultimate round! It was made with a group of Iraqi Kurds in Birmingham and records a struggle to control their readings of Christie’s ‘They Came to Baghdad’ in Arabic. The film won the Ikon Gallery Student Prize and has been shown in the US and Cairo; I was awarded the Birmingham City University ‘Overall Best Student’ in the Arts in 2008 & my MA Fine Arts in 2010. 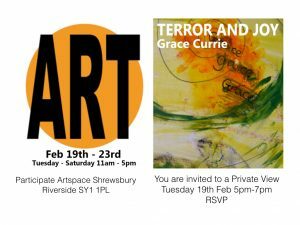 My evaluation report to be published soon (Spring 2019) for An Undertaking, and ambitious multimedia group show in Shrewsbury’s St Chad’s church – funded by Arts Council England and Mentored by Oriel Davis Curator Alex Boyd-Jones… with artists Julie Edwards, Jaqui Dodd, jill Impey and Keith Ashford. Currently consultant researcher into the impact of rural theatre tours for the Arts Council England with the National Rural Touring Forum http://www.ruraltouring.org/ and Coventry University – a heady mix of GIS and mapping quantitative and qualitative methodology (with Mark Webster ex- Stafford Uni’s MA in Community Arts, Dr Phil Dunham and team from Coventry) – it’s a two year major ACE R&D project (which I led on writing) – watch this space! April 2016 Completed the evaluation report for the re:collect artist’s group (click here for full report re:collect evaluation): Shropshire Arts Development Officer Alexa Pugh commented “Well written, balanced and insightful…What a great piece of work to have going forward – I’ll definitely use it in the reports I have to write. It’s clear within the report how active the group have been and so have achieved an enormous amount with positive outcomes, but pleased to see you have identified areas for development and further learning which are realistic”. …and currently still evaluating the exciting network-building process around the Open Door Theatre’s Is That All There Is? 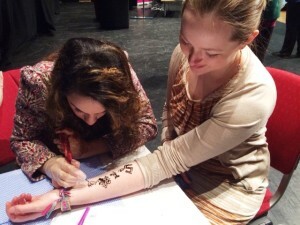 conference in Birmingham in March 2016 – we used some innovative methods to capture pledges for good practice with Young People With Learning Disabiilties (such as henna tattoos…). 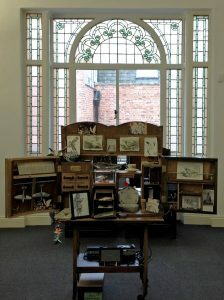 Artwork: Exhibiting at Shrewsbury Museum drawings and sound reflecting on the use of popular music as a way of suppressing dissent in WWI – made using my new (100-year-old) pianola repaired by the wonderful Andri Maimaridou (musiccrafts). My short films, sound and text pieces are currently touring in a Cabinet of Curiosities – work was made in response to ideas about how we view the past (inspired partly by Susan Sontag’s writings) for the Re:Collect group show (with five other artists), including at Powis Castle, Wrexham Museum and now at the Participate Artists Space and gallery Shrewsbury. Evaluation: As an evaluator I’m delighted to be working again with six Library Services across the West Midlands in A Place of Safety with Brighton participatory arts company Blast Theory and Arts Connect West Midlands. Previously I worked with Birmingham Community Libraries and the Birmingham Rep Theatre in an innovative library project (CLASP) with Birmingham arts company Sonia Sabri Dance and videomaker Andy Spencer. 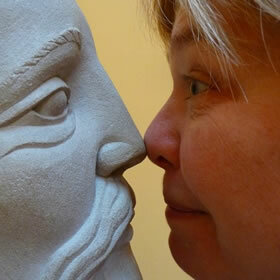 The £250k project trained library staff to tell stories in creative, visual and imaginative ways. The evaluation aimed to build a team with the skills to evaluate continuously in a systemic, integrated process. This was a highly successful project with identifiable benefits. Amongst other data, the evaluation analysed over 500 feedback returns from Library users, parents, children, staff and artists. You can read the two final Summer 2015 reports here ( CLASP report Part 1 ‘Summary and the more reflective CLASP report part 2 ‘Striving’ ). I have recently written up three Pilots of the Arts Council’s new Children and Young People’s Quality Principles for Arts Connect West Midlands. These Pilots were with the Ikon Gallery, Birmingham, Motionhouse Dance, Leamington Spa and Imagineer Productions, Coventry. We have been working out how to integrate the Principles into the kind of systemic and creative evaluation approach I developed through my evidence-based PhD research. Also, a joint evaluation (with Jo Trowsdale of Warwick University) of Imagineer’s Not Yet Invented innovative arts projects bringing artists, engineers, teachers and schoolchildren together to design and make 3m high moving mechanical artworks powered through Coventry by bicycles Summer 2015. Check out Imagineer’s blog Not Yet Invented …. and started another one for their innovative Imagineerium project with engineers, artists and young people not in employment or education…. I’m continually learning new ways of working and taking on new ideas through my work and I’m always looking for training. Looking back on over three years of PhD research, investigating the evaluation of community arts interventions, (supported by the Economic & Social Research Council and the Coventry-based public arts organisation Imagineer Productions) I know I have developed a raft of new skills and understandings. Here’s a paper on my research published in August 2013 by the European Conference on Arts and Humanities or follow me on http://coventry.academia.edu/SueChallis . Full text of my PhD thesis is here . At the end of last year I was consultant evaluator with the Open Door Theatre Company and Birmingham Hippodrome for Richard Hayhow in an imaginative project with young people with learning disabilities in four Birmingham special schools aimed at improving their creativity and leadership skills. 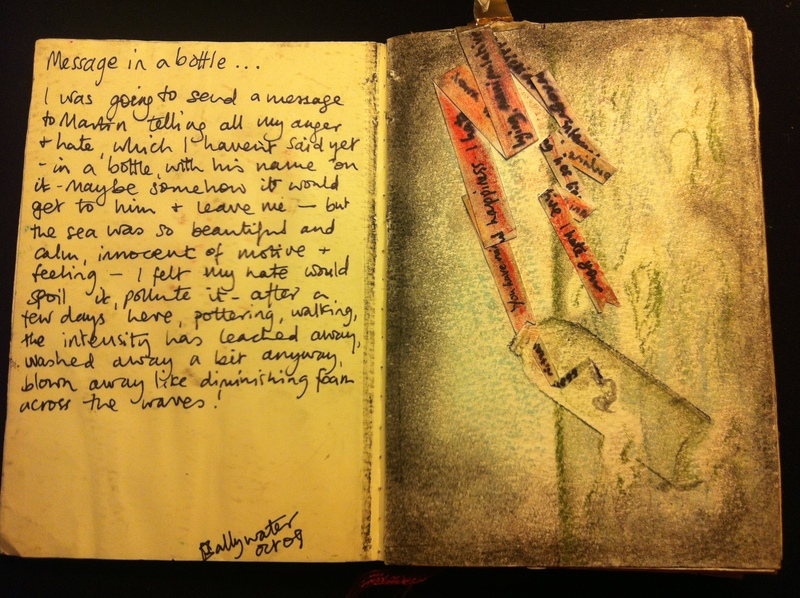 The final 2013 issue of the Journal of Writing in Creative Practice (Vol 6 Issue 2) carries my article on creativity, thinking and writing, about a year-long Sketchbook Postal Exchange between myself, Shaheen Ahmed and Irish artist MandyMullowney : your comments most welcome! 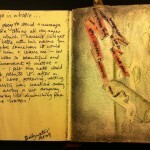 See http://coventry.academia.edu/SueChallis SKETCHBOOK POSTAL EXCHANGE The Journal is part of the Goldsmiths HEA WritingPad project . This Issue was edited by Alke Groeppel-Wegener who hosts the Tactile Academia blog on non-verbal, creative ways of knowing http://tactileacademia.com/ – fascinating ! At the RGS-IBG, August 2013, with social justice researcher Quaco Cloutterbuck, .carried out a four-day evaluation of the Royal Geographical Society’s International Conference http://www.rgs.org/HomePage.htm in London, using creative and innovative methods alongside online and paper surveys… check out our conference blog at http://createevaluate.blogspot.co.uk/ and our twitter feed @createevaluate. Our report to the RGS-IBG was very well received. It’s been invaluable to be in a reflective Action Learning Set with Clore Fellow Wanjiku Nyachae (tweet @1GQ_N) . ‘Dusting’ (silent) (left) preparatory work for the Curious Reveries work at Shrewsbury Museum 2014 (oh and by the way, … I’m still pleased that three of my films were shown at the ICA for the ‘Because we’re worth it’ conference on participatory arts in March 2012). Working with digital artist Martin Sumner we produced a series of delicate and beautiful pieces, using projected text, video and images onto a 430million year old brain coral fossil, found in Shropshire, creating digital content for smart phones in the re-launched Shrewsbury Museum (Spring 2013): inspired by working with such an ancient artefact, almost beyond human imagination. I made video of local people’s imaginative flights of fancy about the past and a sound piece (linked by Martin to audio-responsive colour) of a reading of the Poem which won the first ever Much Wenlock Olympics in 1842 (read by Much Wenlock Olympic archivist Chris Cannon); played against Martin’s time-lapse dawn to dusk on Wenlock Edge, and other images we produced. 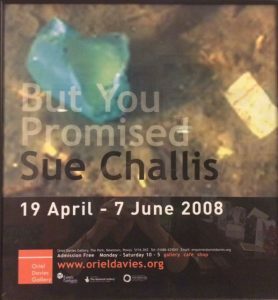 But You Promised was a video made and shown at the National Dublin School of Art and subsequently in a solo show at Oriel Davies in Powys in 2008. The film (showing rubbish in the Grand Canal Dublin transformed by bright sunlight into golden treasure), about the death of a parent, was installed in the bottom of an oil drum, in which echoed a haunting refrain from Shakespeare’s The Tempest, ‘Full fathom five they father lies’. The installation was later shown at the Chocolate factory, London and The Swept and Garnished group show in Shrewsbury, alongside several other films made at the time. Following two years of documentary video-making with the Changes Consultancy’s Home Office project ‘Active Citizenship’ I was asked to help a group of ten South Asian and Black Country women write a successful £23,000 Arts Council bid for a 12 month arts project. As coordinating artist I was privileged to be part of the whirlwind of creativity which followed as the women developed individual artworks using photography, video installation, textile printing and sculpture, to ‘tell their journey’ in a stunning exhibition at Wolverhmpton Art Gallery’s Bantock House Gallery, professionally curated by established Irish artist Mona Casey. This was probably the most satisfying project I’ve ever been involved with: maybe because I had known the group and they had known each other for two years previously; we were well funded and met fortnightly for a whole year, with several weekend residentials and a trip to London galleries; we could afford excellent professional artists (including Shaheen Ahmed, Adrienne Frances, Mona Casey) and had a quality venue to exhibit in – with marketing support from WMAG. Reading Agatha Christie (2007) was made with a group of Iraqi Kurdish refugees in Birmingham. It shows a number of ‘Middle Eastern’ people trying to read from Christie’s ‘They Came to Baghdad’ in Arabic in a film clearly made for ‘the record’ rather than aesthetic reasons. While the artist and Iraqi cameraman constantly interrupt, giving conflicting instructions, the readers’ expressions subvert the implicit control. This tense and funny film explores the interactions between cultures and emerged from the disquiet I felt about sources of knowledges about the Middle East – I read a lot of of Agatha Christie, who, despite her casual colonial racism, is widely read in the region (and apparently much requested at the internment camp Guantanamo Bay). The film has shown in Birmingham and London, and at the Cairo Film and Video Festival, and the Festival of Time Based Media in Vermont, USA. This is a short extract from a longer film.